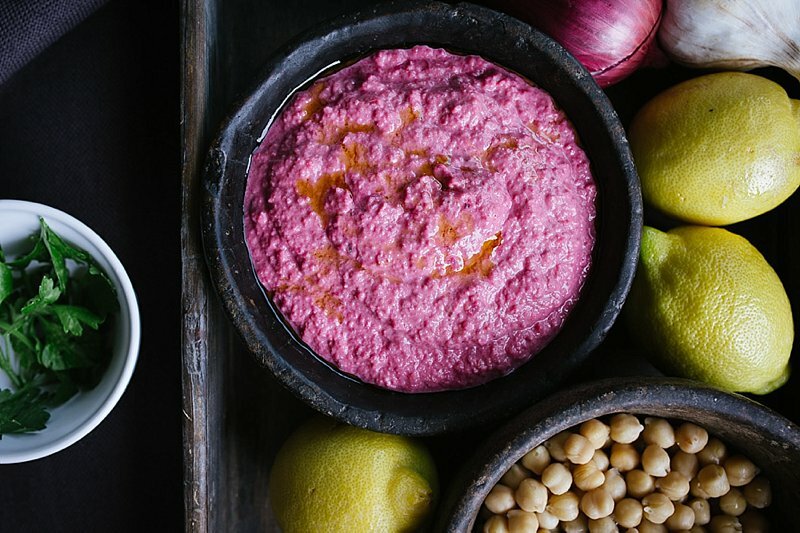 [H]ummus is such a healthy staple and in our house, we eat so much of it that we kind of take it for granted. At the weekends, though, we trick out our hummus with pesto, dukkah and all sorts of fancy toppings to make it into a real treat. 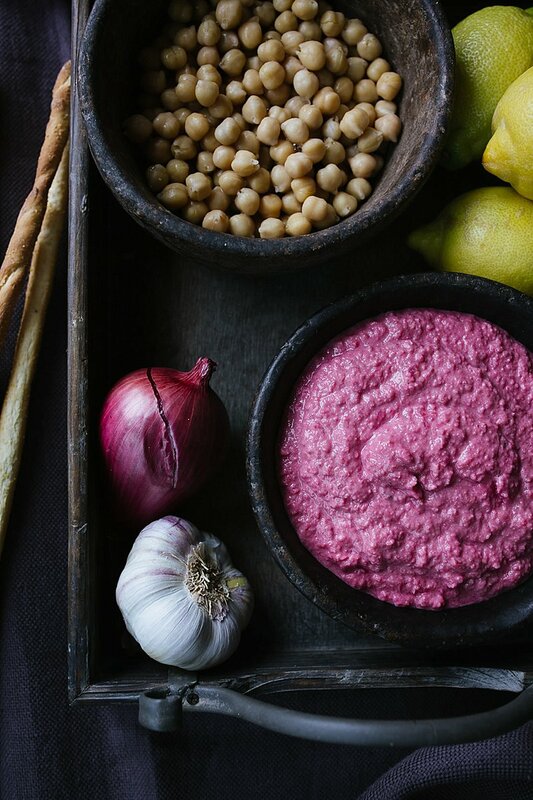 But if you want showstopping hummus, look no further than beetroot. 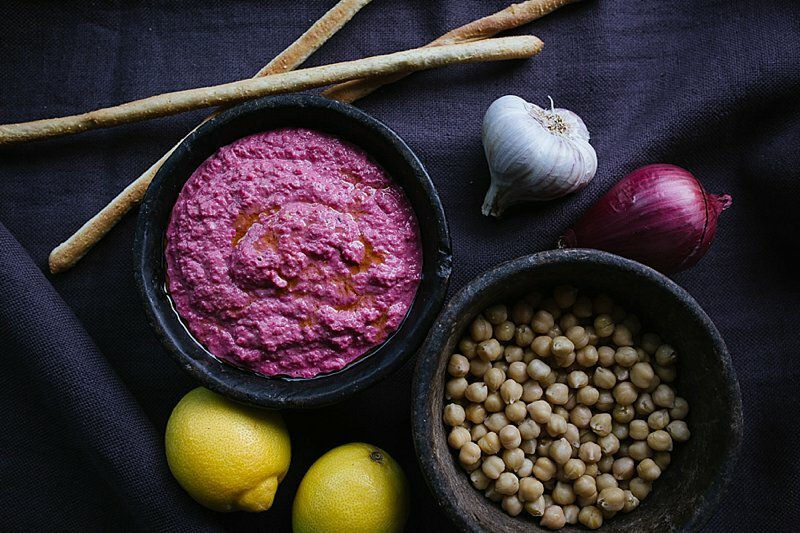 It produces a stunning jewel-coloured pink hummus with a subtly sweet flavour that is a perfect match for any drink. I got this recipe from my old friend, Nikki at Chalet Savoie Faire, a beautiful cookery school tucked away in the French Alps, which you can read about here. Since then I’ve made it many times. It’s the kind of easy recipe that just makes you happy. PS. 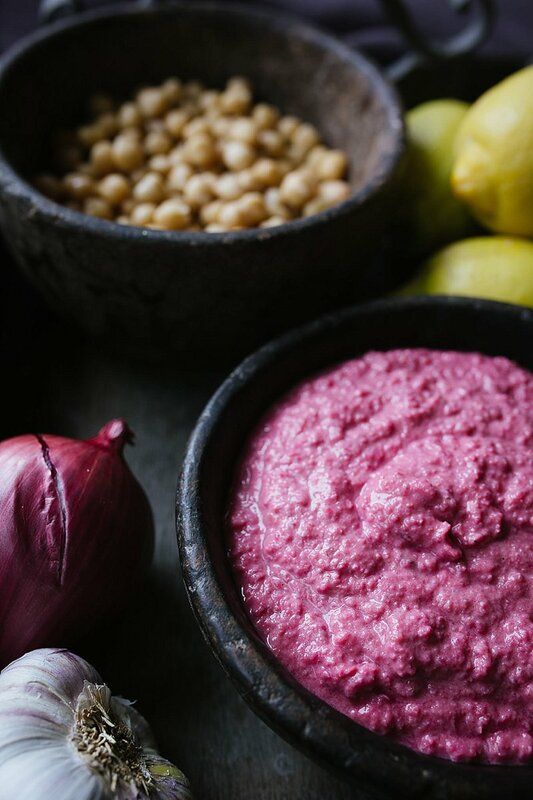 Kids LOVE pink hummus! the rest of the olive oil. 3. Season to taste and serve with whatever you fancy dipping in. This recipe is also great using pumpkin or carrots instead of the beetroot.